First of all I apologise for being late with this post - only recently got power back and had forgotten to check the emails!! Thanks for the info, Harry, and I promise to be quicker next time. Harry sent me this email on Monday. Today I spent a few hours today at Norwich's train station, assisting staff as a volunteer welcome host. 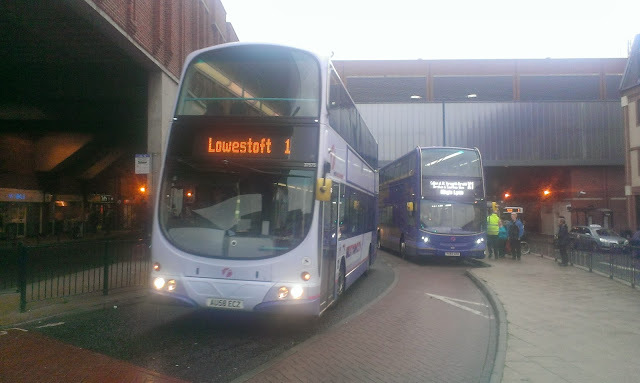 On arrival all services except the Norwich to Lowestoft, Norwich to great Yarmouth, Norwich for cambridge, and Sheringham were cancelled due to last night's weather. Later in the day, services to Cambridge were suspended, whilst the East Midlands service was resumed. When I left at 3pm services to London were the only ones cancelled. These should resume tomorrow once power lines are back up. 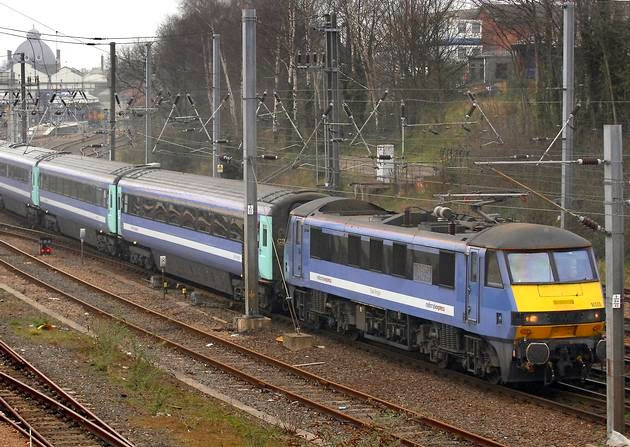 -156419 (now in GA livery) was on the Yarmouth line (15.40 service to Yarmouth), whilst before this it was on the Norwich to Lowestoft corridor. -156422 was also being used on the branch lines along with 156407 and 156409. -170271 was on the sidings of platform 6 as it wasn't to be used due to the Ipswich to Peterborough and Cambridge line being out of action. -3 class 170s (3 car) were also in the sidings but were later used when the Cambridge line reopened. -3 MK3 sets were present for some time, placed on platform 1, 2 and 3. The remaining sets were at crown point. -2 East Midlands class 158s were stored on platform 4. These wont probably be used until tomorrow, if the weather has calmed down. 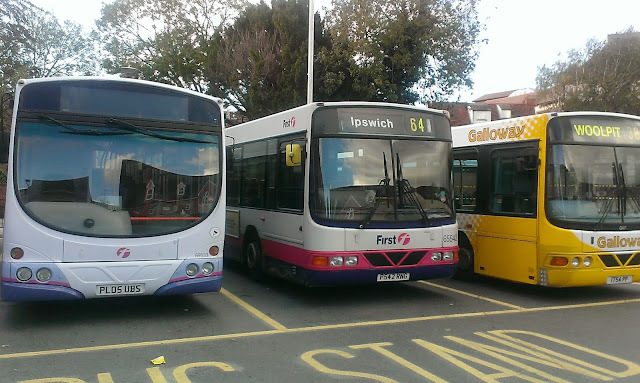 In Ipswich on Tuesday I managed to capture 32653 but disappointingly not her sister who has just arrived from Lowestoft. 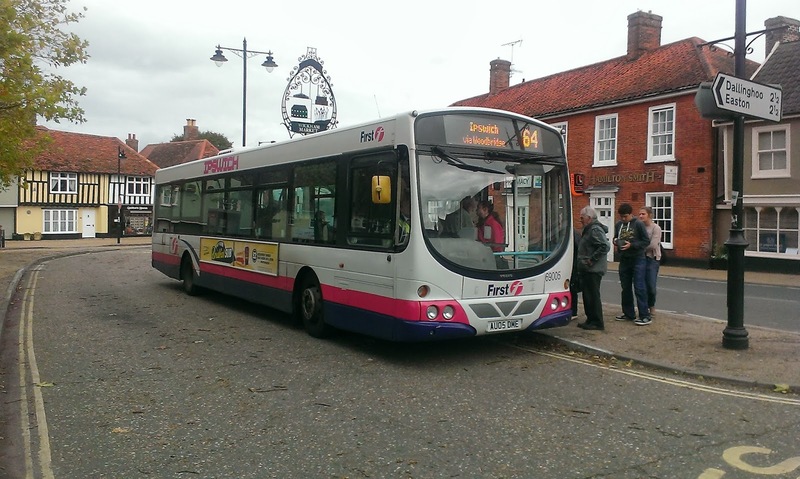 But luckily yesterday when back in Wickham Market (still no power) I saw a flash of lilac and dashed to the bus stop where the driver kindly waited for me to get a pic. And her sister 32652 looking much nicer. 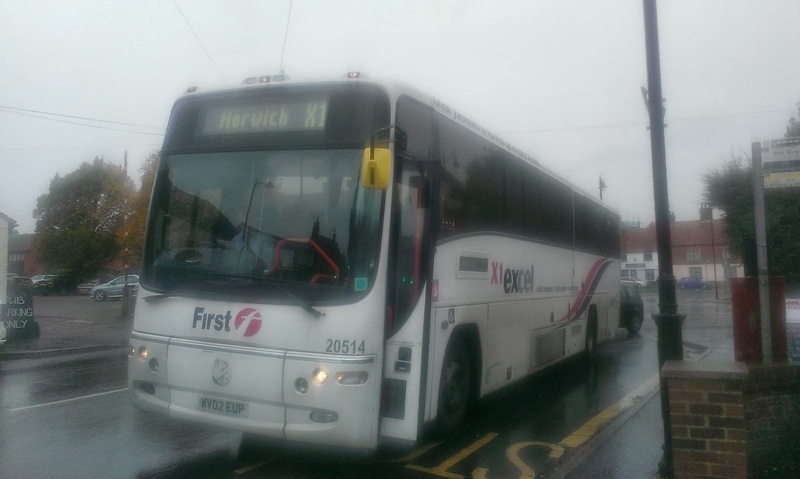 Thanks to the driver for waiting! 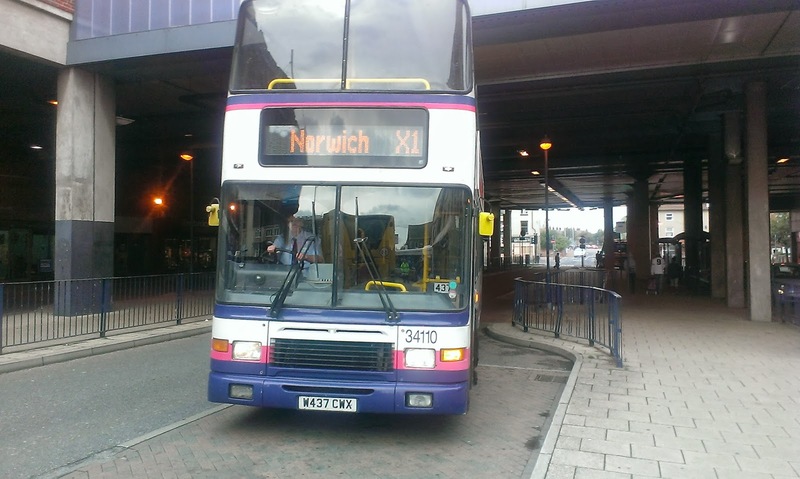 Ipswich Today erm Yesterday well ok Tuesday! Due to having to go to friend's in Wickham Market to charge my phone and laptop up due to still no power I decided to go into Ipswich. Mistake. Traffic was abysmal but still got a few interesting shots. I had a decent journey in on 69005, but not so impressed with 65532 back! Don't know why Carters 403 is facing the wrong way but it is! 65542 the only other Scania with decent seats! Another destination that hasn't seen the light of day for many years. The driver couldn't confirm which vehicles are being replaced next week by the P&R Volvos, but said he hoped it would be the 6567* series. He seemed disappointed when I told him it would be the Scania saloons like the one he was driving. 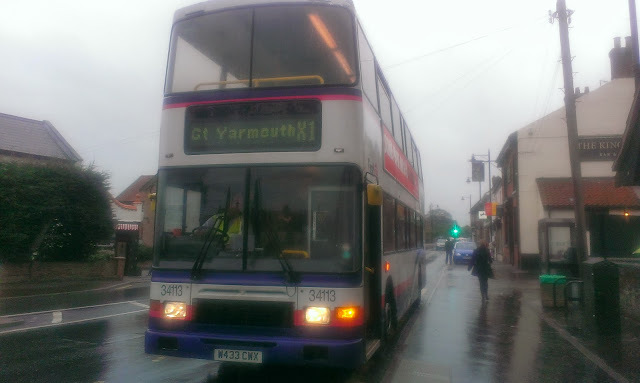 What he did tell me though is that the withdrawn vehicles would be going to Clacton. As soon as I hear anything as to the identity of the vehicles I'll let you know. 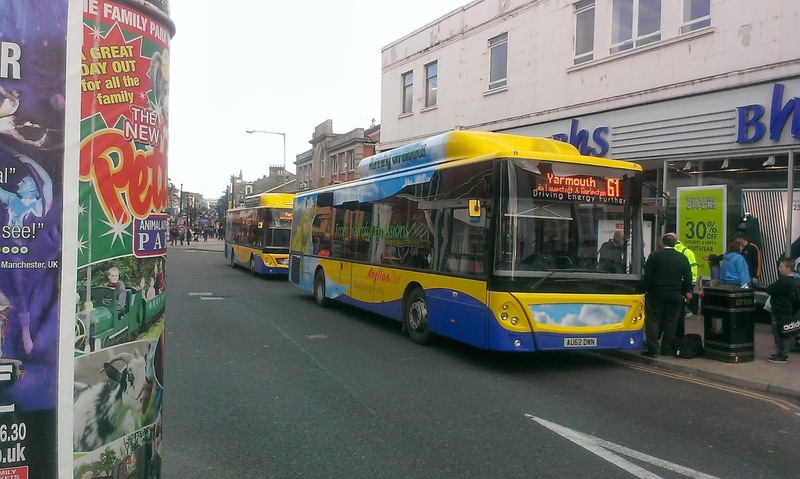 Clive on Ipswich Bus Blog reports that Ipswich Buses have taken delivery of two AD Enviro's - their first two new single deck acquisitions since the 6 Scania Omnicitys in 2007. 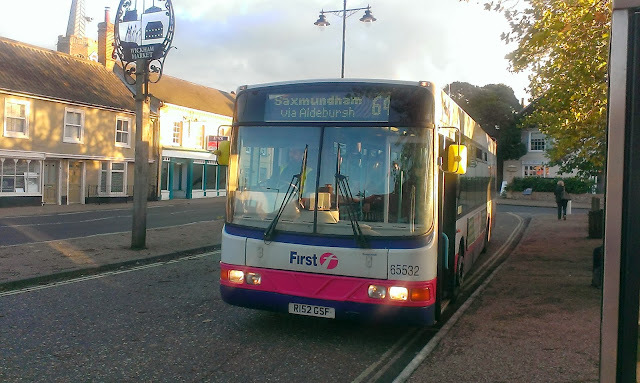 Will be interesting to see which routes they are assigned to with First's impending invasion onto IB's flagship 13 route. I didn't go out yesterday as living where I do many trees were going faster than I could have done! I lost power at 8.30am and as Itype at a friend's house it still hasn't come back so sorry about lack of posts. yesterday. Main headline has to go to the Beestons Omnideka that tipped over in Hadleigh yesterday. 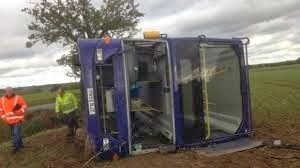 Thankfully none of the people on board were badly injured altbhough the driver was knocked unconcious and had to be taken out on a spinal board. 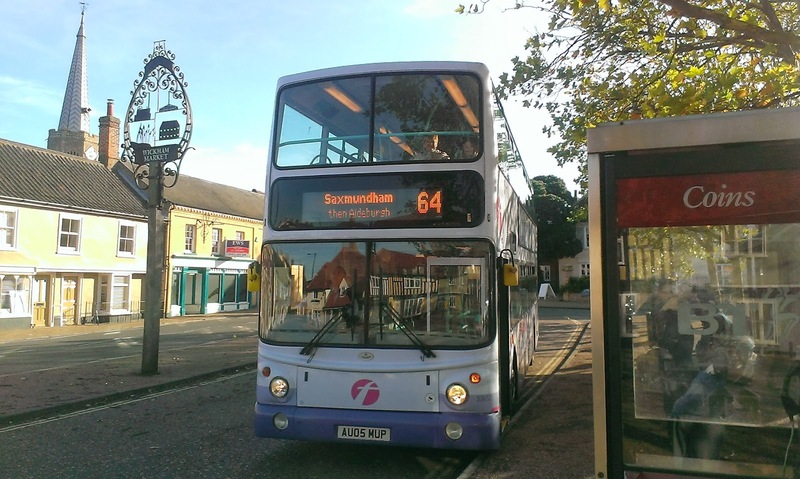 Also Ipswich Scania 65672 is pictured in todays EATD with as large tree resting against it. I'm searching for the pic and as soon as I have it I'll post it. If anyone has any storm related pics you would like published then please send them to me and I'll put them up! I didn't know quite what to think or expect when I started this blog, but one thing I most certainly didn't expect was this. I can't express how chuffed I am that I have a Scottish Correspondent. Grace is a 19yo student at Edinburgh Uni in her third year of a Social Work degree. Every week I'll be posting pics Grace has taken. They will be mainly Lothian buses as that's her local company although I'm hoping we'll see some First pics too, and any miscellaneous pics she manages to snap. One thing I haven't been able to find is a fully up to date fleertlist of Lothian buses so if anyone knows where I can find that I'll be grateful. In the meantime enjoy Grace's first ever bus pics, which I think are pretty good for a novice, and thanks, Grace - so good to have you aboard. All pics are Grace's copyright. 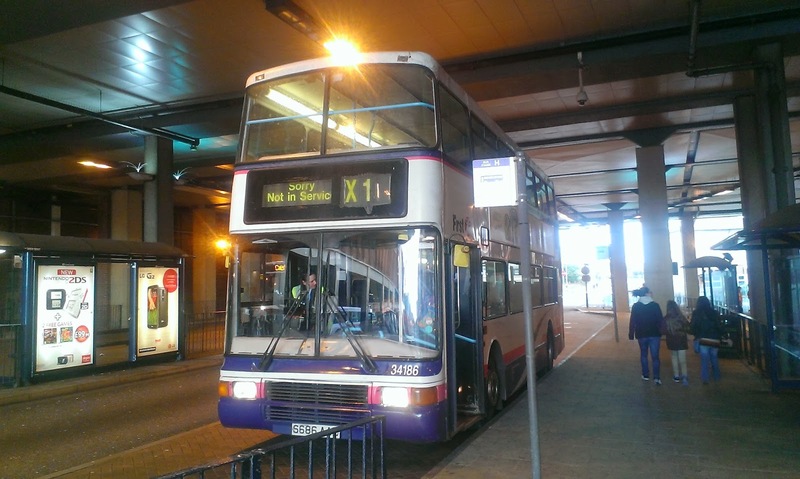 One of Lothians recent single deck Hybrids. I love the livery. Grace we need a side view of this one please! Note the price of an all day ticket in Edinburgh! A company of many colours! I have probably chatted to Grace while she has been on this bus! Harry Stanley has kindly been in contact to inform me that 2 car DEMU 156409 has been sent to Wolverton for repaint and refurbishment. It certainly will be interesting to see the standard of the interior when she returns. 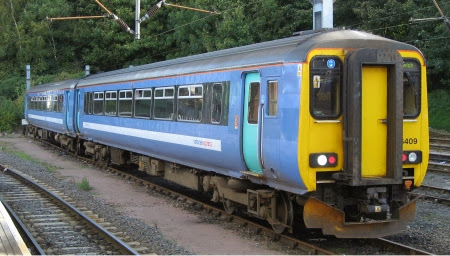 Harry also tells me that the MKIII coaches used on the Norwich-London line are also to be sent away to Wolverton 3 at a time for new interiors and seating to be fitted. So it seems no new trains for our part of the world for the next 20 years or so!! Thanks, Harry for the info. Let's hope the locos get a matching paintjob! Thanks again, Harry for the info and I hope to do more train based posts in the future. However, unlike the buses I don't have a free train pass! Spent a rather pleasant day trundling around on various routes and ticked another two Olympians off my "must travel on before withdrawal" list. 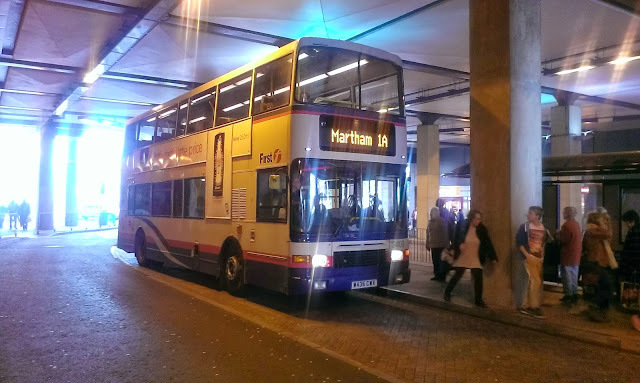 After travelling into Norwich on Anglian Omnicity 452 (AU58 AUV) I was pleasantly surprised to see Olympian 34186 parked up waititng to operate the 11.05 to Yarmouth. A really nice driver, an equally decent ride despite the attempts of the wind to blow us off the Acle straight, and a couple of good photo opportunities. Underneath the arches - well shopping centre! Doesn't she look good! After waiting sometime for another Olympian finally I was rewarded with 34109 turning up heading to Martham. At Hemsby i spotted Gemini 37575 heading in the other direction and quickly switched vehicles. Comparing the two I know which one I prefer. Guesses on an email please! 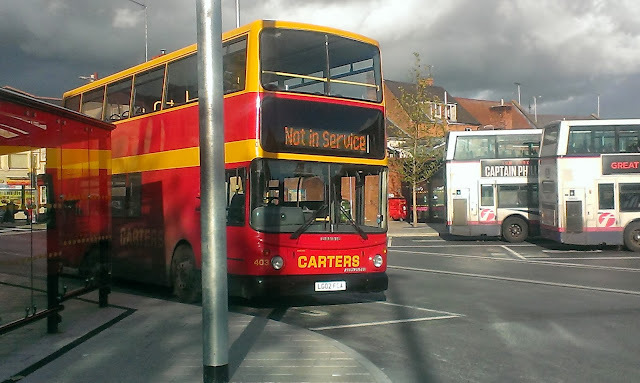 I was joined at Caister by Cameron from Great Yarmouth Bus Blog who let me in on a few snippets of information that he is going to post on his blog (link at top of page). He also very kindly set up a Flickr account for me to put all my pics which I'll link to when it's up and running. 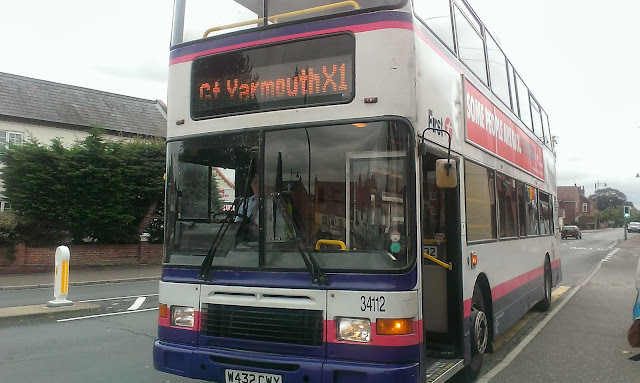 We travelled to JPH and back on President 32209 to kill some time before as a thank you I decided it was about time he travelled on his first gas bus so at Yarmouth, after a short pit stop, we caught Anglian 106 to Lowestoft. Cameron has promised to publish his report on his blog but I think I can safely say the reaction was favourable. 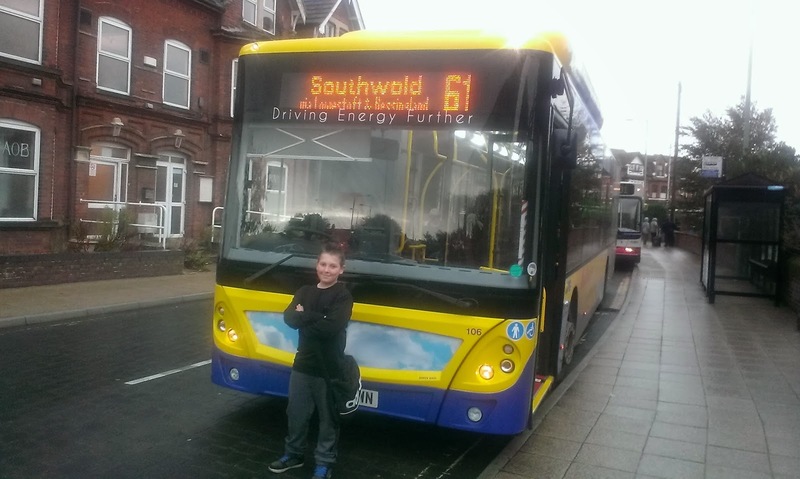 Check out his blog - it's really nice to see the future of bus enthusiasm in such capable and decent hands. Cameron in front of the first gas bus he had travelled on today - i don't think it will be the last! 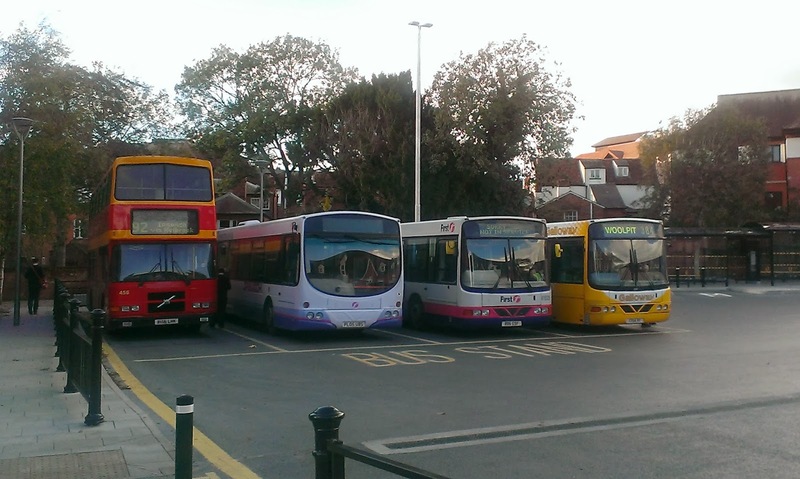 Thinking of what to post on tonight (and struggling) it suddenly struck me that once all the X1 Geminis are repainted and seconded to their new depots the current variety on the X1 shorts could end rather abrubtly. Obviously there might be the odd exception due to breakdowns but on the whole ther X1's will be Enviro operated and the shorts by the Geminis. So here is a selection of pics I've taken in recent weeks of vehicles operating the X1 short, as well as a couple of my fav Enviro pics thrown in for good measure. Enjoy and reminisce, as the variety could be about to end. Excuse the finger but I just love the destination screen - I mean who needs to know from the front!! 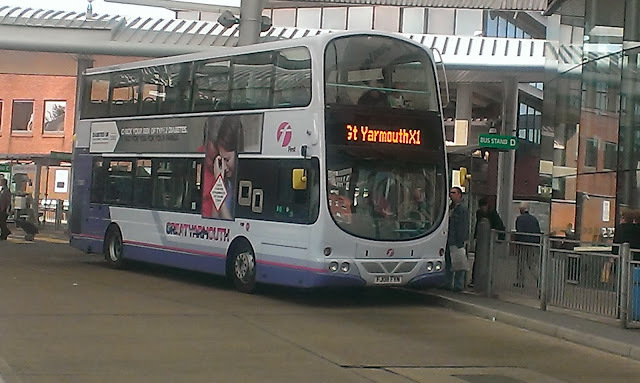 33818 at Yarmouth - will they last as well as the Geminis? As this is a purely self-indulgent blog I'm going to recall my own experiences as both an enthusiast and driver. As most of this took place in Kent I apologise if it is a bit off area! So we may as well start at the beginning. 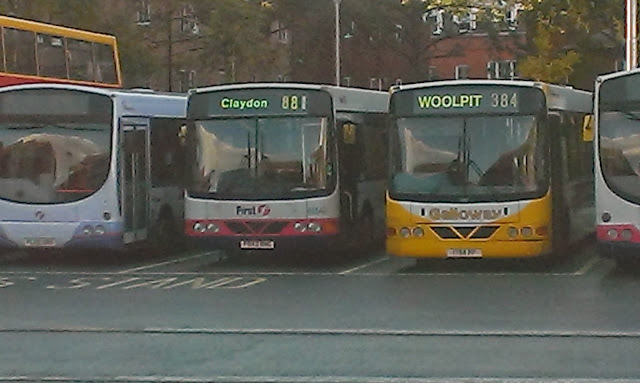 I clearly remember the day I became interested in buses. It was 1972 and I was 5 or 6, waiting with my mother at the bus stop iin the village in Kent where I grew up. 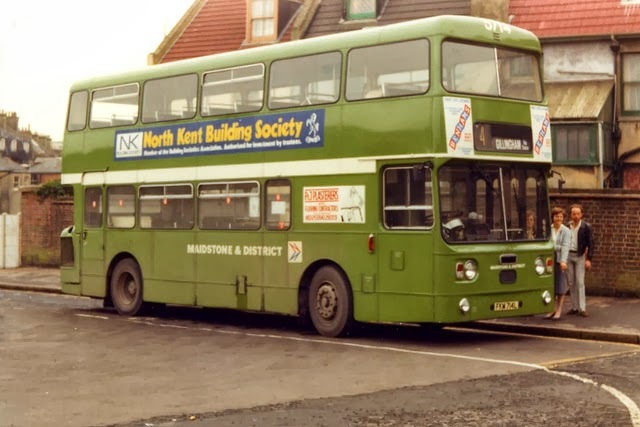 A different type of bus to usual pulled up - it was in a brighter green, the seat covers were a different design and it smelt like only new vehicles do. 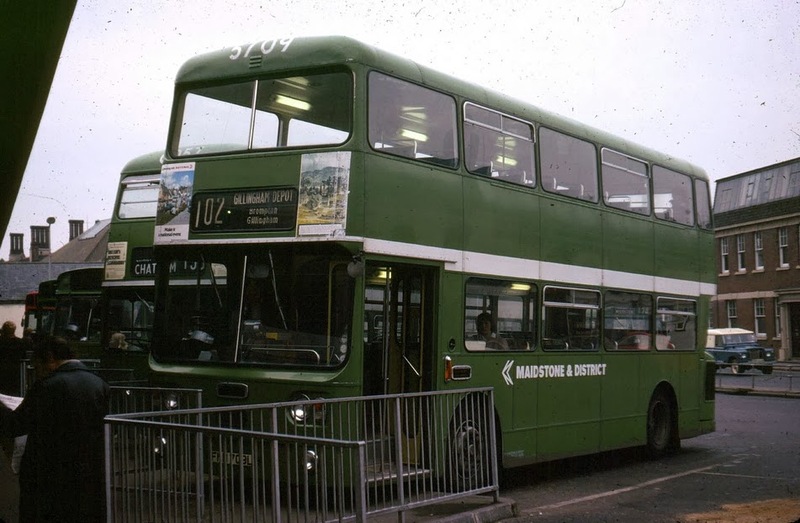 It was a new Leyland Atlantean painted in National green and that was it - the seed was sown and my sentence as a transport enthusiast was confirmed. 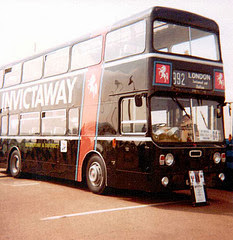 The most striking livery any of that batch of 20 Atlanteans saw was when 3 of them were painted in Invictaway black when M&D launched their Medway - London service. 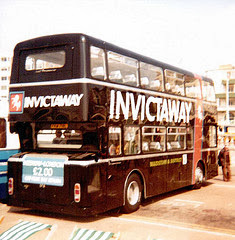 I spent many pleasant hours travelling up and down the A2 on the Atlanteans which had been fitted with coach seats from withdrawn dual purpose Reliances. 5718 (I think) showing off her new paint job. I have still never seen a livery as eyecatching as this one. If the ex X1 Geminis think life will be any easier doing local work they maybe surprised. 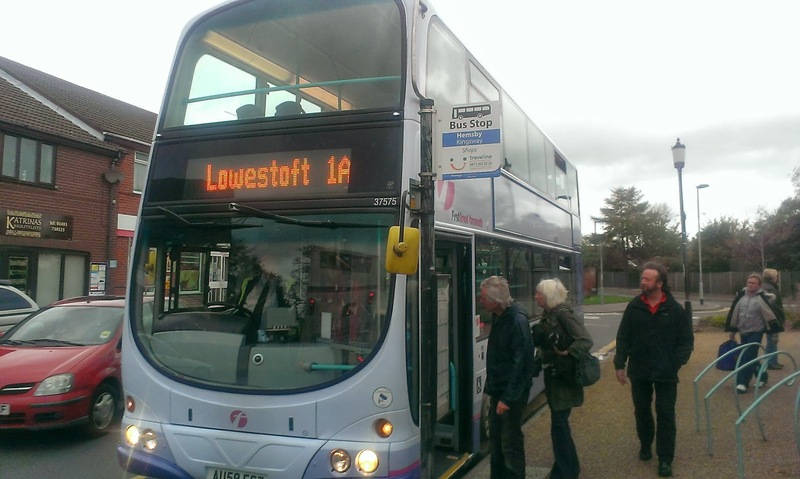 37575 was operating service 1 to Lowestoft yesterday afternoon with the place heaving with school passengers! 37575 passes 33813 maybe getting sentimental about the A47! Life is a Gas - MAN! 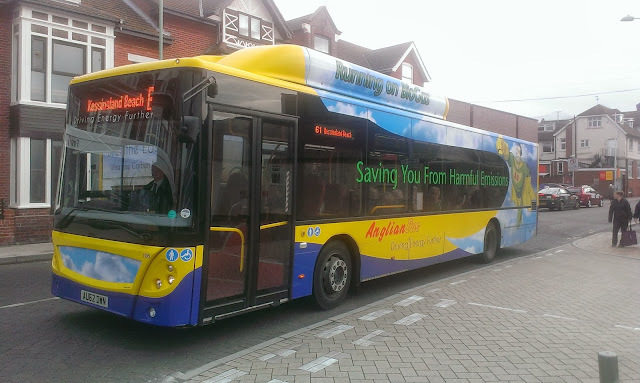 With all the excitement over the new X1 Enviros it's easy to forget that a year ago we were all getting excited over the iminent arrival of the much heralded MAN EcoCity gas buses that Anglian Bus launched on the now extinct 146. 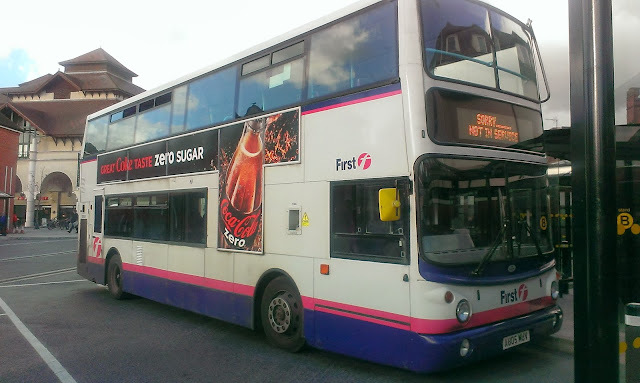 When I first went on one I was knocked for six at how quiet and smooth they were, but forecast that within a year they'd be rattling like old Darts and would be awful. I could not have been more wrong. 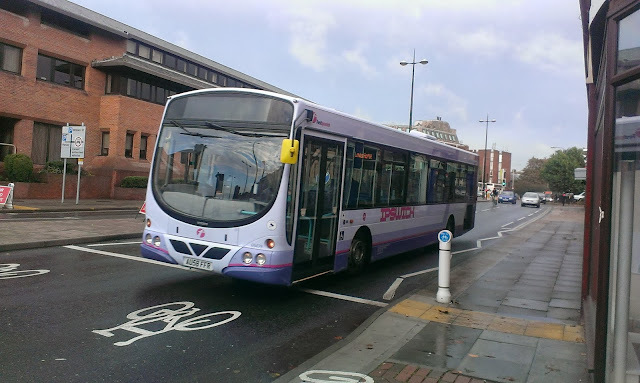 Without being melodramatic I love those buses. The ride is still amazingly smooth and they are so quiet when stationary it's hard to tell if the engines are running or not. If I'm brutally honest they rattle less than the new Enviros!! The drivers tell me they are lethal in the wet but as an ex driver myself I can tell them that Leyland Nationals were the same. 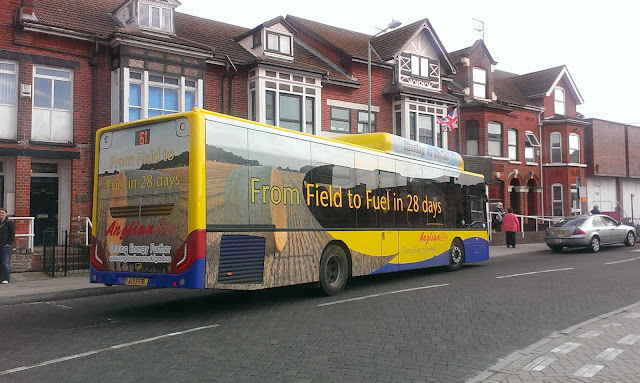 When you really think about it field to fuel in 28 days is quite something - I mean a decent steak is hung for 28 days! What I can't understand is why there hasn't been a huge demand for them - who else has got them? 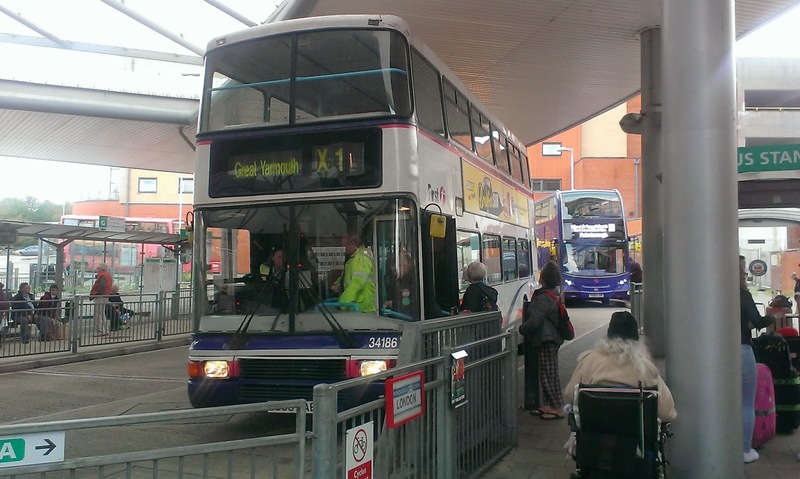 Well Arriva in Runcorn have 10 of them running on Runcorn's Busway but that's hardly the same as Gunton Estate. Apart from the Demonstrators that appears to be it in the UK so I consider myself pretty lucky to live so close to these pioneering vehicles. 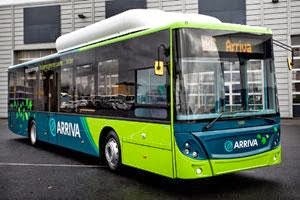 So the only thing remaining is for more companies to use these fantastic buses - why hasn't Boris Johnson jumped on the gaswagon - and for a double decker version to be created! Then we really would be cooking on gas!! 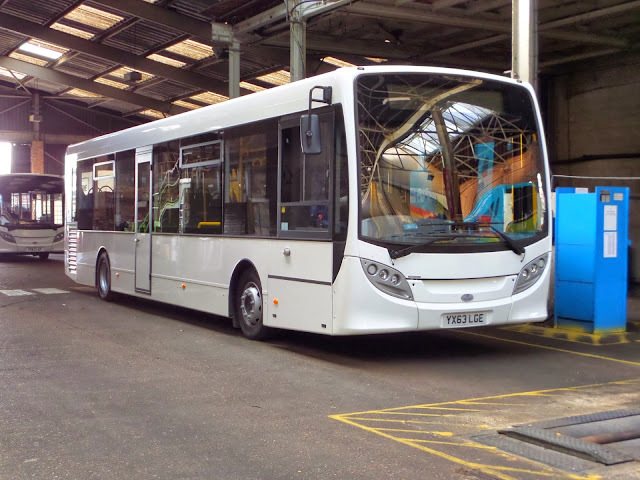 There has been a lot of coverage of the X1 Geminis getting their repaint and rightly so - what a transformation! 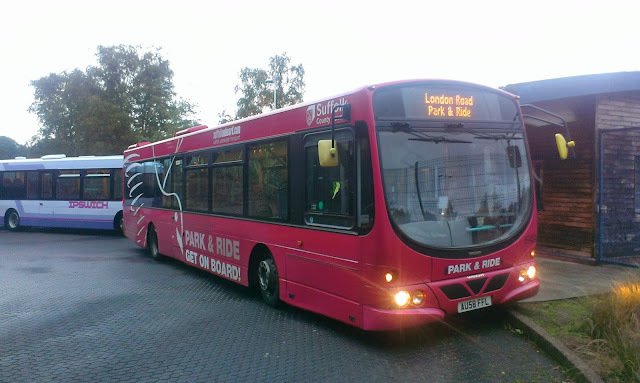 But in Ipswich another transformation is taking place with the repaint of the, in my opinion, hideously pink Park & Ride Volvo's into the new First livery. 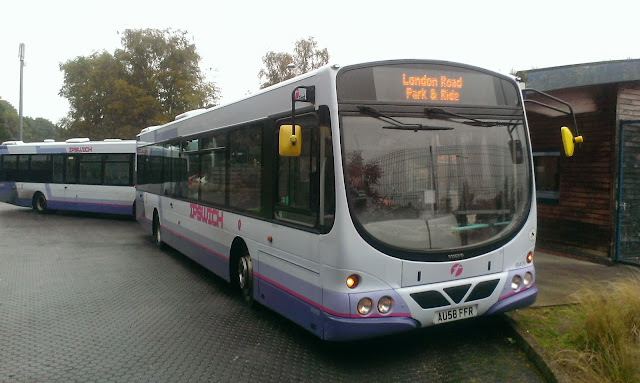 In November Ipswich Buses will take over the Park and Ride contract using a fleet of ex Nottingham Transport Optare Versas. 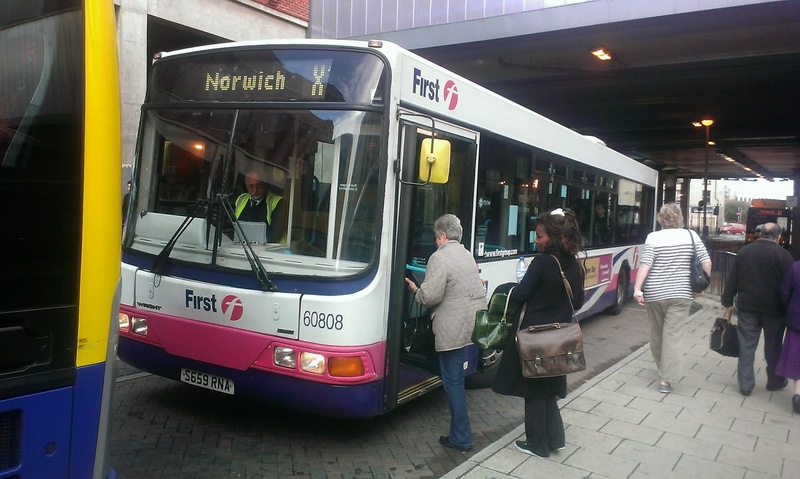 So the current first Fleet is being repainted so they can be integrated into normal service in Ipswich. 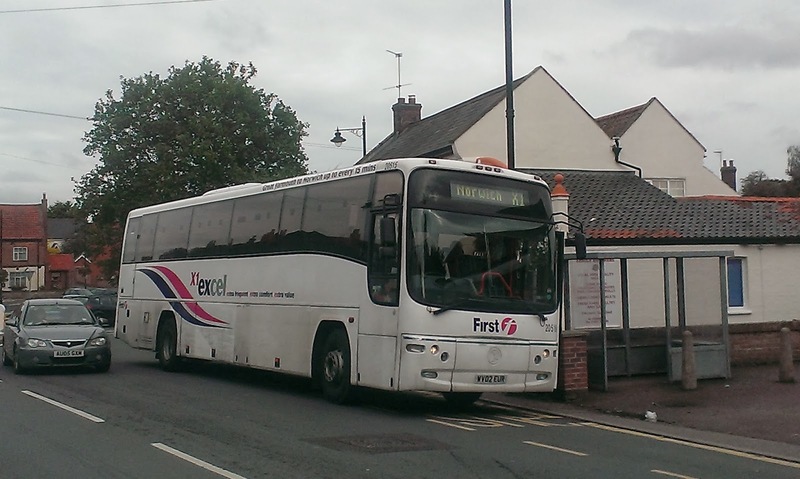 On Saturday I was attending a wedding in Ipswich and decided to take the P&R for what will probably be the last time before IB take over. 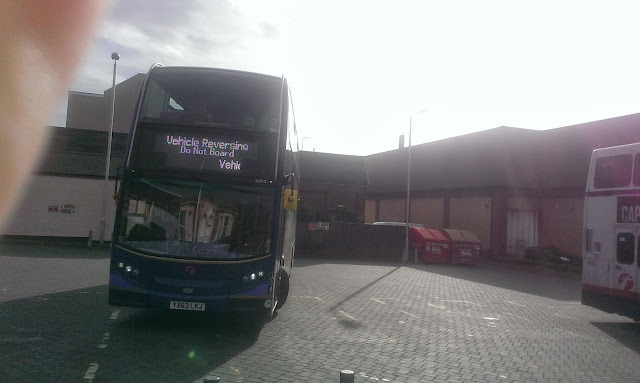 Here is 69429 AU58 FFR waiting at Martlesham in her new colours. 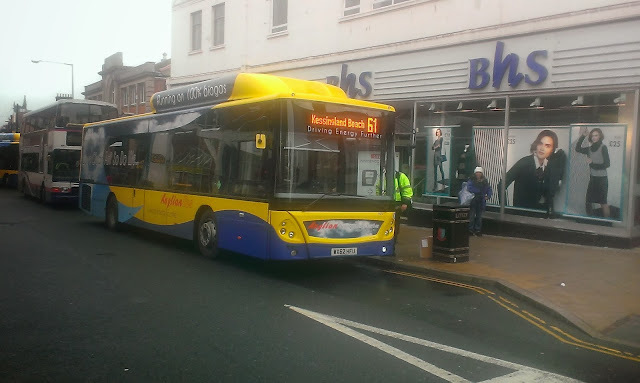 Inccidentally behind her is 69433 AU58 FFW who was one of the first to go into regular service after the London Road site was closed a couple of years ago and has been being used on P&R as cover for the vehicles away for repaint. 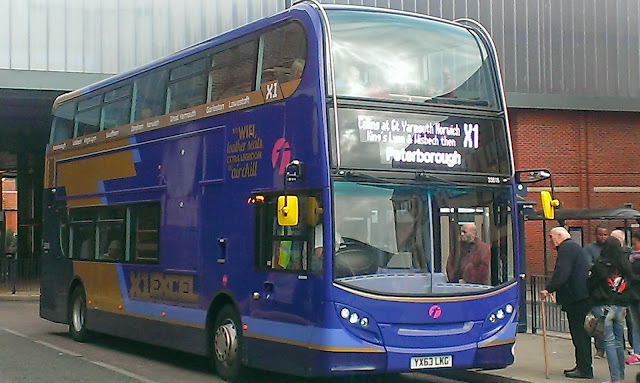 Here she is in Ipswich - quite by chance it was her again - but I think those colours really suit her. 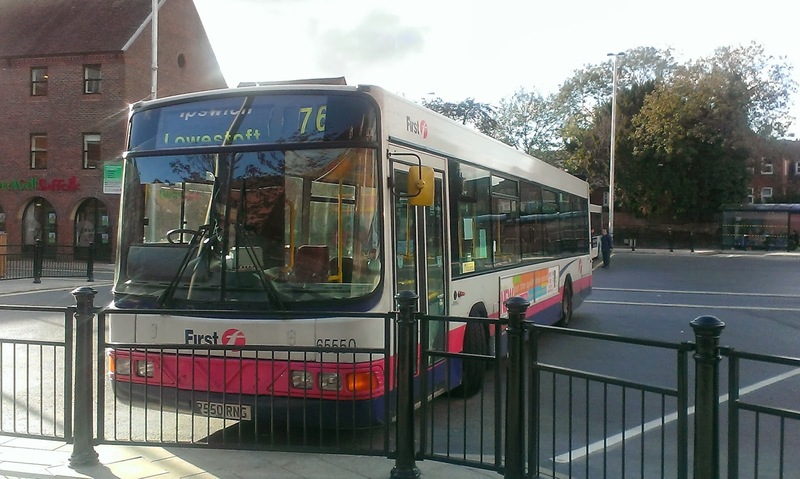 Here is 69424 AU58 FFH still in her garish pink. Personally I won't be sorry to see the end of that! Behind her is 69426 AU58 FFM who was one of the first of the current batch to be repainted. I haven't got a pic of the new Versas yet so if anyone can help I'd be very grateful! Hi, and welcome. I'm Steve and you might have seen some of my pictures on various blogs and bus pages. I thought it was about time I started my own page and here it is. As I live pretty much between Ipswich, Norwich and Lowestoft I want this page to cover the transport scene in Suffolk and Norfolk. This is not meant to challenge or be competition to any other blog or site - indeed you guys are my inspiration! I'll be calling on you for help and advice on many occasions I'm sure. I believe that we are all in this together, have the same interest, and get similar pleasure from our interest, and I believe in share and share alike. Therefore anyone is free to use any information or pictures I post on here with my blessings as long as I get a credit. Obviously any pictures posted that are contributions by others will remain their copyright. This is a really good time in the transport scene - new buses everywhere, particularly the X1, old buses seeing their last days, contract changes and bus wars in Ipswich, not to mention two revamped bus stations. On the rails not so much happening but will be interesting to see if Abelio keep the Greater Anglian franchise and what the future of the rolling stock and faster journeys to London will be. So let's make a start - all contributions will be really welcome and thanks for visiting.